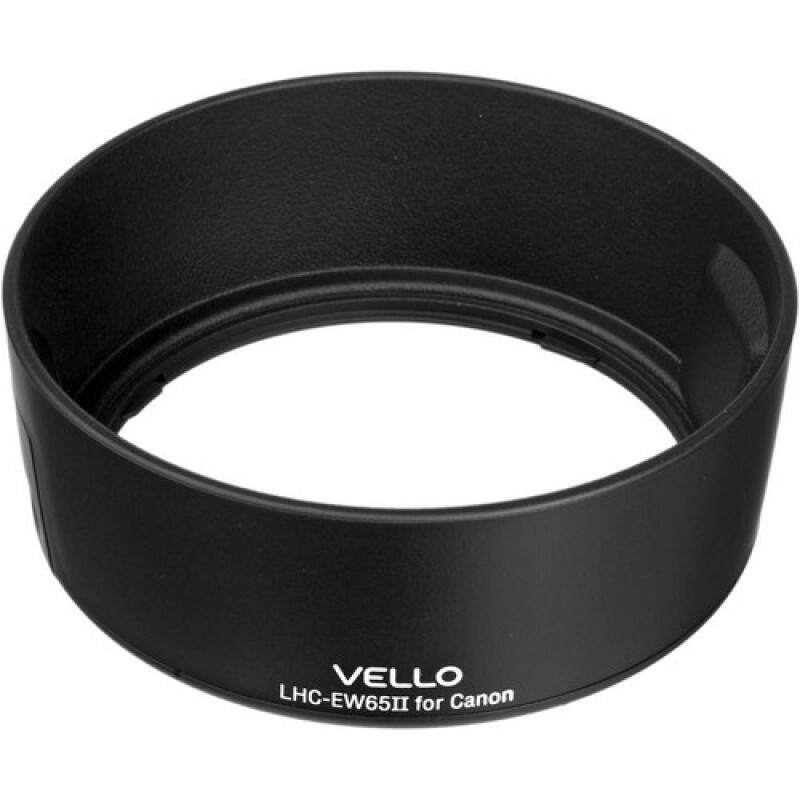 The dedicated Vello EW-65II Lens Hood is specifically designed for use with Canon's EF 28mm f/2.8 Lens & 35mm f/2 (non-IS) Lenses. Lens hoods are primarily designed to prevent unwanted stray light from entering the lens by extending and shading the end of the lens. A dedicated lens hood is designed to perfectly match the specific focal length of the lens it was designed for. Moreover, this hood features a non-glare matte finish on the interior surface to further prevent or limit lens flare. And since the end of the lens is extended, you also get the added benefit of some extra protection from accidental impact. The bayonet mount is designed to also work in the reversed position, allowing the hood to be placed backwards over the lens for a more compact storage solution. Designed to accommodate the exact angle of view of the camera's lens. Minimizes flare and ghosting by blocking out stray light. Protects your lens from accidental impact and the elements.